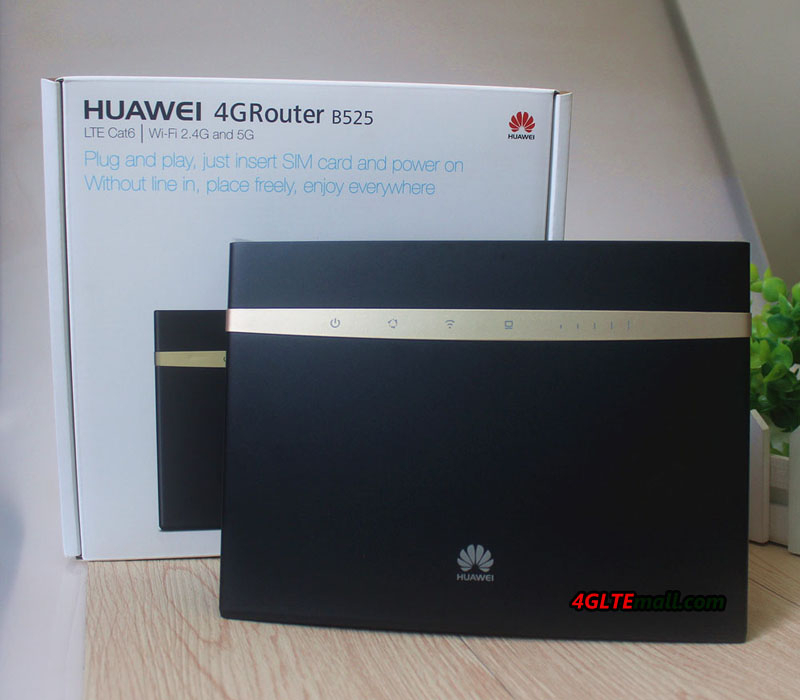 The manufacturer HUAWEI has launched the router B525-23a in 2017, and now the latest 4G router B525 is already available for some network providers in Europe, Middle East and Asia, which is to replace the same excellent predecessor router Huawei E5186s-22a. The dimensions of Huawei B525 router are 22.6cm long, 16.3cm high and 5.3cm thick. Its weight is 370 grams. These features mean it’s not a portable pocket WiFi router. It supports the 4G+ LTE category 6 on the bands: 1/3/7/8/20/32/38 (800/900/1500/1800/2100/2600MHz, TDD 2600MHz). No 700MHz(Band 28), so check first whether this router is right for your areas before you pick up, i.e. your network providers broadcasts on the above bands, which will make sure you can use this new router normally without any problem. An RJ11 port allows you to connect a phone on it to make calls via the inserted SIM card. (Provided you do not force the router only on the 4G so that it can switch to other voice frequencies and that your SIM package is not only in data) A USB 2.0 port connects a hard drive or printer. The SIM card must be in the MICRO SIM format. It has a multilingual interface that you manage from your computer to configure your network quickly and easily (DHCP, VOIP, FIREWALL, consumption management etc) but is also compatible with the mobile application Huawei Mobile WiFi for a configuration via smartphones or Pads. 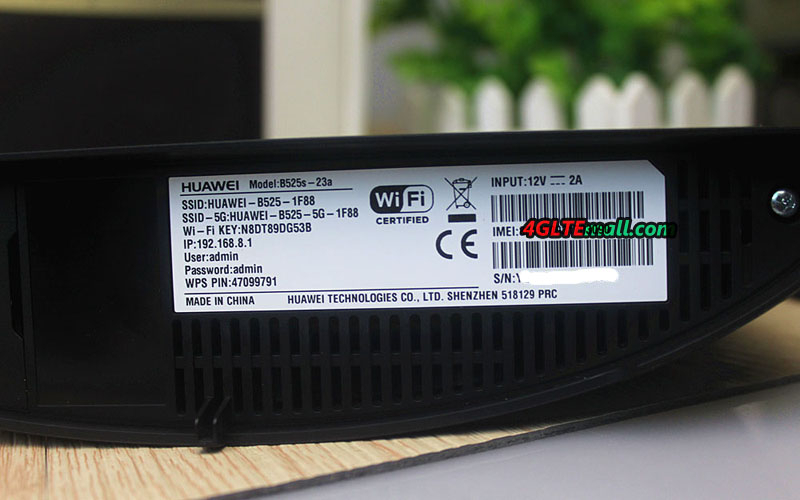 The Huawei B525s-23a Router 4G has an on/off button which is to turn it off when you do not use it. Likewise, a WPS button (to connect wifi easily) and 5 LEDs will allow you to know the intensity of your 4G reception. This HUAWEI B525s-23a is the latest flagship of the brand’s 4G routing modems. At a relatively affordable price (compared to smatphones for example), you will be able to get rid of a deficient ADSL network and multiply your connection speed. 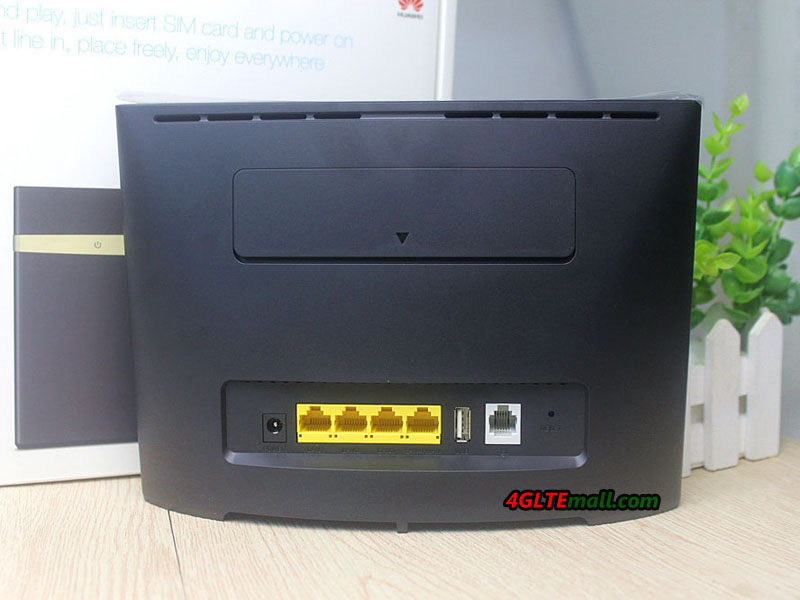 Regarding what’s the real difference between Huawei B525 router and Huawei E5186 router, we will check later. Actually, they are too similar technically, we don’t know why the new B525 is presented when the Huawei E5186s-22a is good enough for current LTE cat6 networks.